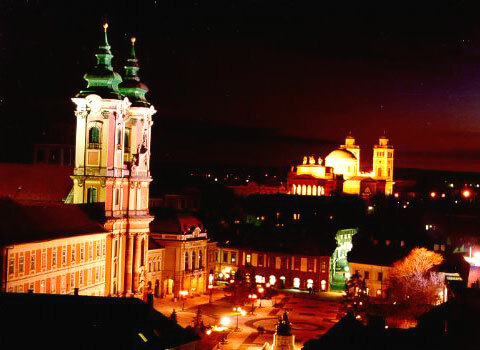 The country is one of the most beautiful baroque city of Hungary. Te city has a historical past, and the inhabitants are proud of the city's monuments. At the Eszterházy square is in the late baroque style Lyceum. At the end of the 18th century it was built by archbishop Eszterházy Károly to operate a university. Today it operates as a high school.At the Lyceum's first floor we can find the nationally famous diocesan library with many ancient codices, manuscripts, and Hungary can be found only Mozart's original letter is shown. Astronomical Museum, "Specula" periscope operating in the building's tower is also a interesting. Reservation only neoclassical building in Hungary's second largest church, the Basilica. According to plans by József Hild was built between 1831-1837 Archbishop Pyker ordering. Infront of the church, we can find a little square, where the statues are Marco Casagrande works. The Cathedral's organ has delivered by Salzburg Moser Ltd. Walking at the Tárkányi street we get to the Bishop's Garden. Archbishop Eszterházy built this 22 acre park and in the middle of the park, we can find a fountain, what was inaugurated in 2000. The park has built at a french garden architecture style. The park's southwest corner operating the soccer field and tennis, and the stadium. Walking along the creek we get to the Klapka street. 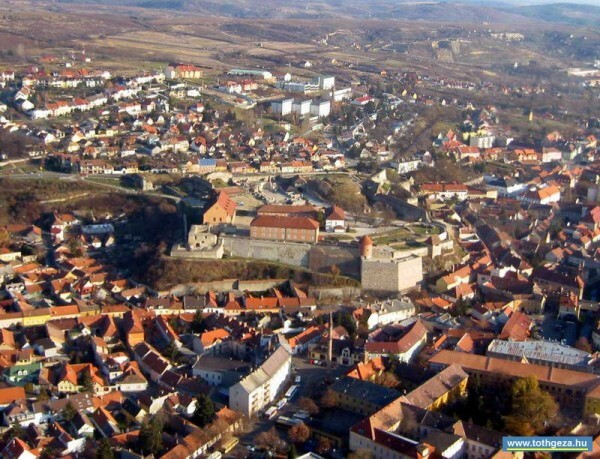 At the Petofi Square we can find the Eger Thermal Bath. The warm-water bath has 6 outdoor and 1 partially covered swimming pool.Eger was admitted at 1976 as national heath area. From natural spings erupts every day thousands of cubic meters of water. Walking through the Kossuth street, you can admire the Franciscan church and the right side is Provost's great palace. Under the Kossuth street 9. We can find the county hall, where we can admire Henrik Fazola's unique forged gate. At the backyard we can visit an urban history exhibition, and a sport history exhibition too. At the Dózsa György square the visitors can see the entrance of the Castle. In the Castle are several exhibitions, and activities: the Dungeon, the Heroes' Hall, the historic and temporary exhibitions (in the Gothic Palace), the Gallery, Ruin, Géza Gárdonyi tomb, the Warden basement, the Wax Museum, the Mint. At the antrance ticket office guided tours are available in multiple languages. The Catle's north entrance take place the Géza Gárdony's (a famous writer, who wrote the Crescent Moon) remembrance hall. The Minaret is the most northern Turkish age monument.The building is shaped angle of 14 to 40 feet high. A carved sandstone tower built survived the centuries in a relatively good condition. 97 caracoles lead to the top of the building, where a circular balcony and a wonderful panorama wait the guests. The Eger Creek was a border between heves and borsod county. The city was named by the alder tree. The Dobo Square rises one of the most beautiful and unique baroque church of Central Europe, the Minorita church. Every day 11:00 am, 15:00 pm and 18:00 pm visitors can hear the chime of the church. Near the church we can find the eclectic style town hall. 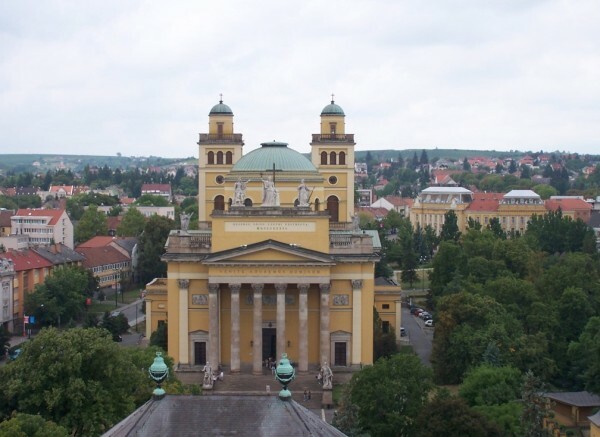 On a small hill at the northern end of Széchenyi street stands the special-atmosphere Greek Orthodox or Serbian Church. Its former parsonage now houses the memorial room of Mihály Vitkovics, Serbian poet, and the exhibition of György Kepes, Hungarian artist and outstanding representative of 20th century visual arts history. The nearly 200 works (paintings, photos, photograms, plans and sketches), present his multifaceted oeuvre -supplemented by a rich collection of documentary materials.. The Archbishop's Palace, 5 Széchenyi street, has been the residence of the Archbishop of Eger since 1740. The Central Exhibition of the Archbishop's Collection, housing valuable treasures, is in this building. The items on display are masterpieces of 18th and 19th century goldsmiths and textile artists: monstrances, chalices, reliquaries, chasubles and robes. The artefacts related to Gábor Erdõdy, the Bishop of Eger, which he received from Maria Theresa, are of special value. The robe, which was also the Queen's gift, is famous for having been worn by Maria Theresa when she crowned queen.